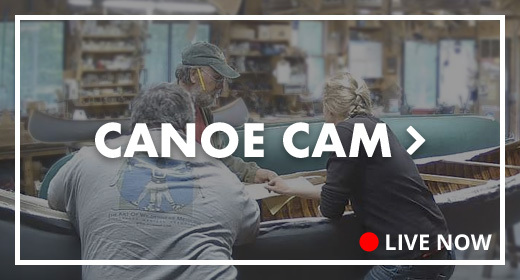 Hardware - Northwoods Canoe Co. Stem Bands — Custom-made for the Northwoods Canoe Company, These are the traditional 3/8″ wide, oval face, hollow back, solid brass stem bands. 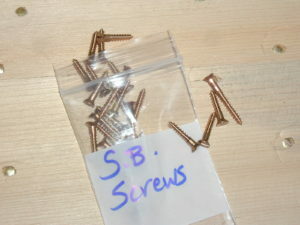 The bands are good for all types of canoes and small craft either as protection on the stems, keels or for other trim. 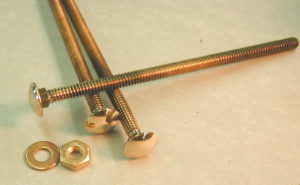 Stembands can be pre-drilled and countersunk for a #4 screw. The holes are 5″ apart on center. 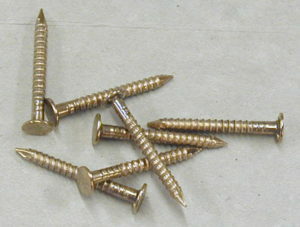 Pre-drilling adds $0.50/ft. Standard lengths are 4.5-foot, 6-foot, 9-foot and 12-foot. The 9-foot bands are cut to 8½ feet when shipped. 12-foot bands are shipped at cost by general freight. 40 or more pieces………. $14 ea. 40 or more pieces……….$17 ea. 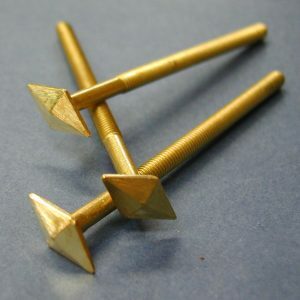 Canoe Tacks — 11/16″ tacks for regular canoe construction; 1/2″ and 7/8″ tacks for light or heavy construction. 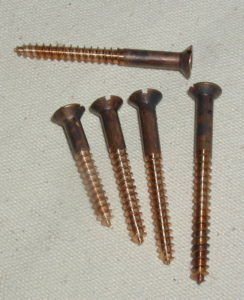 The tacks are solid brass with an oval head. These American-made tacks are manufactured on machines that were designed at the turn of the century and they’re still pounding out these high-quality tacks! Approximately 1000 tacks per pound. 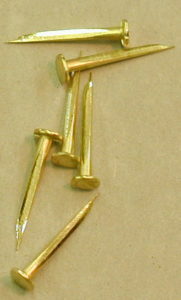 Stem Tacks — Small copper tacks for fastening the canvas to the hardwood stem. Using large tacks or the standard canoe tacks to fasten the planking to the face of the stem will cause large splits in the face of the stem, which is why you want to use the smaller copper tacks! 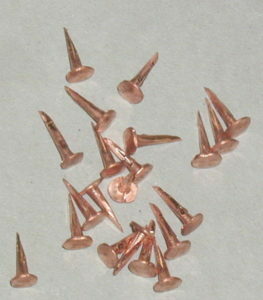 Most canoes will only need 2 to 3 ounces of the small tacks.